Built by the Porsche factory strictly for competition in European Carrera Cup races, this 1992 Porsche 964 Carrera Cup is one of just 112 produced in 1992, and is one of just 297 produced in total from 1990-1993. It has been raced consistently in Europe, Asia, New Zealand and North America and, as such, is perfectly suited for continued use in PCA competition or restoration to its original specification. 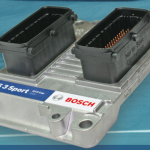 It is available for inspection and purchase at our Charleston, SC facility for $$$$. Originally purchased—according to the car’s sizeable dossier—by Hans Graf (the alias of a Mr. Tabler whose sponsorship logos graced the car), this 964 was campaigned in German Carrera Cup races possibly through 1995. At some point thereafter the car was sold, moved to Asia and painted a light blue similar to Mexico Blue. The car then passed through more hands before its purchase in New Zealand by a prominent member of the Oracle BMW America’s Cup sailing team who repainted the car in what would appear to be its original shade of red and imported it into the United States. 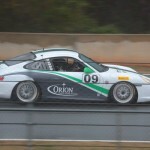 Finally, the current owner bought the car and campaigned it extensively in PCA events. 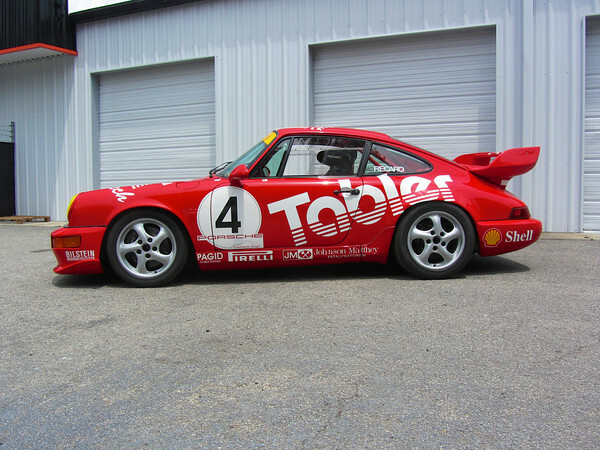 As the current owner bought the car solely for the purposes of racing, the 964 remains in its as-raced state and its comprehensive history was never compiled in detail. There is considerable evidence to suggest that it scored significant race wins (including one at the Nurburgring) but as we cannot confirm this completely we will not claim as fact the stellar on-track history laid out in the included dossier. We have promising leads to complete this history including a contact at the original race team who will gather all original information at a regular shop rate for their time. This contact information will be given to the new owner. 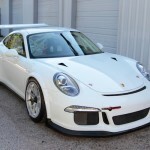 Additionally Porsche should be able to supply a COA detailing the car’s complete original specification. 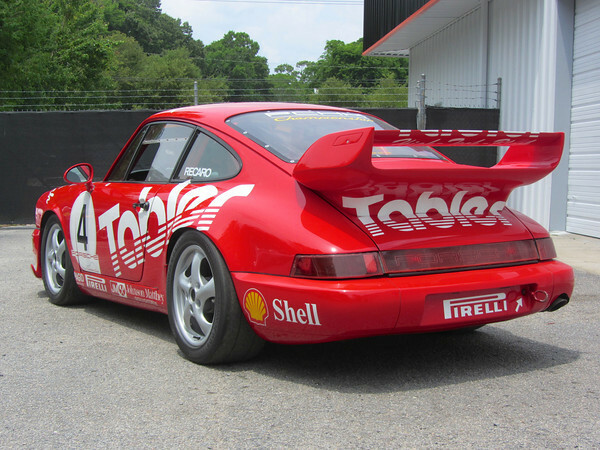 What we can state as fact is that this car’s VIN is listed as one of the 112 Carrera Cups produced in 1992 in a letter from Porsche to a previous owner. The 964 presents well with bright shiny paint over a straight tub. 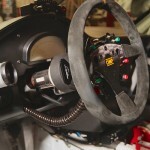 The roll cage shows no signs of stress or major crash damage, nor visibly differs from original. The underside of the unibody is straight and completely free of sound deadening as per all Carrera Cups. Above, the rare aluminum hood remains on the car in excellent condition and the panels are free of damage save two small dings on the passenger side front fender. At some point in the car’s race history the doors were replaced with fiberglass units and the front bumper and rear decklid were modified with a spoiler and fiberglass wing, respectively. 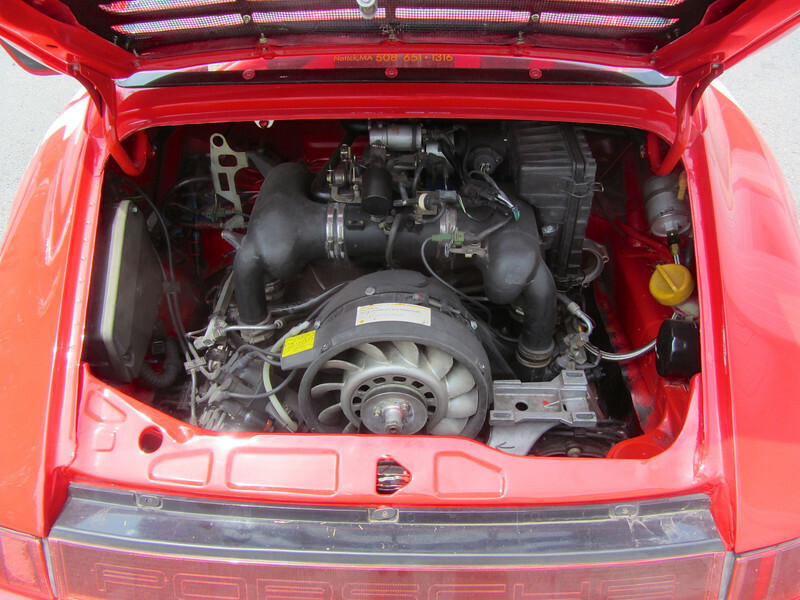 The engine is an unstamped 964 street unit that has been modified for use on track with billet valve covers and a race exhaust and it is mated to a G50. 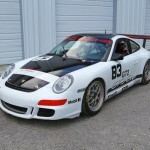 The 964 rolls on a set of Boxster wheels shod with Hoosier slicks with 4 heat cycles. Additionally, 4 BBS modular wheels are included in the sale. 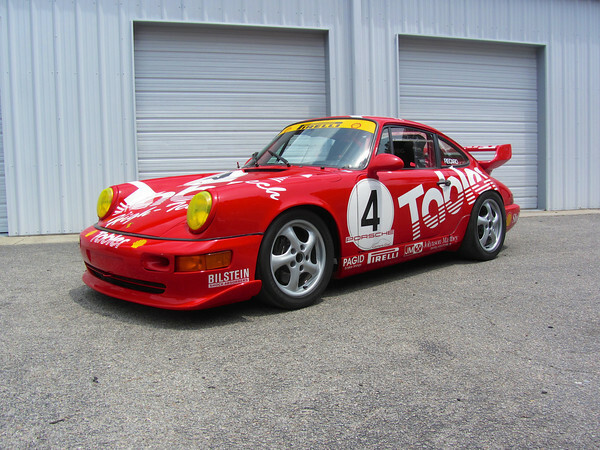 It is important to note that this car is both a historically important factory Porsche race car and is also a currently, and consistently raced car. It therefor bears all of the markings of a race car including minor scuffs underneath, minor modifications throughout, and overspray from color changes and/or minor paint repairs. 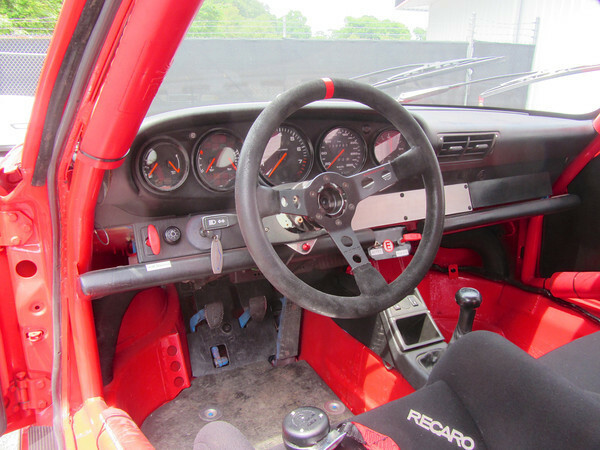 As such the next owner has several viable options including racing the car as is, restoring the 964 to a mostly original appearance (with wheels, front bumper and rear deck lid), or undertaking a comprehensive restoration to factory specification. Furthermore, the next owner will enjoy the opportunity of documenting what appears to be a lengthy and important race history. As very few of these cars were produced and many were lost to on track incidents, genuine 964 Carrera Cups in any condition are rare and prices for largely original 964 Carrera Cups with history have climbed past the six figure mark. One particularly beautiful example is even being listed for an eye watering 185,000 euros ($251,000+). This car, at $$$$, offers the next owner considerable upside no matter what course of action is taken. Personal inspections at our Charleston, SC facility are encouraged.